Recovering from a catastrophic and devastating natural disaster is never easy. I have gone though that long and stressful situation. Allow me to share my story on how I struggled to bring back the normalcy of our life following hurricane Irma and how I got the help I needed to acquire full insurance coverage for the casualties. Let me introduce myself first. I am Angie, a work-from-home mom from North Miami Beach, Florida. My husband Jim is a salesman. We live in a nice and friendly neighborhood which is ideal for raising a family. My husband and I worked pretty hard in order to secure ourselves a good and decent home. To help my husband sustain our expenses, I also work as a freelance administrative marketing assistant for various firms. The flexibility of my schedule allows me to work from home and manage our household. I consider our home as the safest and most comforting place to be in. Decorating and maintaining it has always been one of my greatest joys. Florida had always been known for its strong hurricanes and storms. My husband and I had known this for as long as I could remember. This is the reason why a couple of years back; we decided to apply for a home insurance coverage. One of our friends encouraged us to go for it since properties such as homes are valuable investments that could benefit from an insurance policy. She later on introduced us to someone who works with various forms of property insurance. The agent or “insurance adviser” explained to us the full coverage of the insurance policy that suited our particular need. My husband and I were ready to hear terms such as calamity claims, fire protection, acts of nature, and so on. Everything sounded good and we decided to have our home protected – for our peace of mind in case anything happens. We completed all requirements. Our home was also duly assessed and we agreed on a convenient payment term. Everything was in order. Property insurance gave me peace of mind. As soon as I got hold of the policy, I knew I could just relax and rest in the assurance that whatever happens, I could rely on something to protect our hard-earned and valuable property. Everyone in Florida knew the devastation caused by Hurricane Irma. On September 10, 2017, this vicious hurricane hit Florida’s west coast and aimed at Tampa – St. Petersburg following its double landfall. 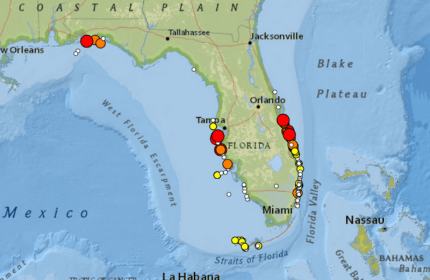 It swamped Florida’s Keys and then went on to hit Miami. This calamity had been extremely devastating and I can personally attest at how powerful it was. It was catastrophic. The strong winds were unimaginable. I could still recall how my husband and I prayed for it to stop. During this trying time, we prayed and hoped that it would soon be over and we can go on with our lives without fear. I guess no amount of preparation would actually be enough to beat a strong hurricane like Irma. Nature has its own powerful forces that can make you face your biggest fears. I feared for our safety, for the safety of our friends and family, and for our home. Earlier, we heard about a lot of people being evacuated to a safer place. Fast forward to the end of this catastrophic event, we all made it through. We were okay and our friends and family were safe as well. However, upon thorough inspection of our home, that is when our world went crumbling down. The roof was severely damaged – part of it was almost completely stripped off. Everything else was a mess – which is somehow expected following such a merciless hurricane. My husband tried hard to restore everything. We tried to fix whatever we can. However, the roof of our home was a more serious issue to deal with. That was when I decided to contact the insurance company. In the middle of all the chaos, the people in our neighborhood were all trying to restore the normalcy of their daily lives. Properties were being repaired, damages were being assessed and everyone was just busy. We knew that it would take time for everyone to settle in once again and get everything fixed. In our case, we contacted the insurance company. We were expecting that same friendly, courteous, and accommodating treatment. After all, we paid for it. The guy who answered our call took all the relevant information and told us that somebody would get in touch with us to assess the damages. Several days passed and still no call from our insurance company. I was starting to worry. I made several follow ups and each one was becoming more and more tensed and stressful for me. I tried to understand the intensity of the situation knowing that a lot of people are exactly in the same position as me. Perhaps, the insurance company had to attend to hundreds of clients from all over the places hit by the hurricane. Finally, somebody came to assess the property particularly the roof. You could just imagine the relief I felt at that moment knowing that our home would soon be restored back to its original shape. After a week, the insurance called only to bring in the bad and heartbreaking news. According to them, the result of the assessment states that we are not eligible to have any claims. They refused to cover the roof damage. We are not getting any coverage for the repairs. It felt as if whatever is left in our roof came crashing down on me and I was caught off guard. This could not be happening. After the initial shock from the bad news, rage followed. I was so angry and upset that I called my former colleague, Sarah, who somehow comforted me. She told me that she would try to consult her brother who works in a legal firm to determine whatever options we have left at that point. I was also already considering about getting a loan. Sarah called me back with some great news. Apparently, she mentioned our situation to one of her friends from church and suggested that I get in touch with public adjusters. She particularly mentioned 1stresponsepublicadjusters. I wasted no time and called the company right away. A guy named Adrian took my call and I relayed to him every single detail. I was out of breath after I finished telling him the intensity of the situation. I was quite embarrassed because I sounded so tensed but he listened patiently and was professional enough not to make remarks and side comments. When it was his turn to speak, he asked me several questions, instructed me to gather up all my insurance documents plus other additional papers pertaining to our property, and scheduled an ocular visit. I was quite impressed by Adrian’s composure considering how much I ranted. He was professional and sounded confident. He meant business. Sure enough, he came to our home and started inspecting the property and all the damages. He took pictures of all the traces of hurricane Irma and asked me a few relevant questions. There were no promises but there was no denial from Adrian either. He just took everything he needed, got some information, and told me that he would process our insurance claim. He assured me that he would get in touch for updates as soon as he can. I knew that the whole procedure would be tough. I could sense it. I made another call to Adrian to check if he needed additional information. At the back of my mind, I just wanted to check how things are doing. Adrian answered my queries politely and reassured me that it is going to take a while. Insurance claims are tough and requires a great deal of patience. However, situations like mine are common and usually, they have positive turnouts. A few more days passed and I finally got a call from Adrian asking me and my husband to sign a few paper works because we are getting full coverage for the repair of our entire roof plus something more for the repair of other damages. We are going to have more than enough to restore our house into its top shape! For a second, I thought I was going to burst into tears. Finally, after the hurricane and some serious disappointments, the sun was shining down on us again. We can have our home back and everything will be covered by the property insurance. I could not thank this company enough. For the first time since after the hurricane, I felt genuinely hopeful again. Who would have thought about the sudden turnout of events? And it was all for the best and to our good advantage – fair enough. It was a full 360-degree turn from “no coverage” to “full coverage”. For the first time, I appreciated having an insurance policy. Moreover, I understood the behavior of insurance companies. Helpful, credible, and relevant – these are the words that define 1stresponsepublicadjusters. We cannot thank them enough for helping us get the most out of our insurance coverage. They are professional and extremely accommodating. More importantly, they work with compassion. They understood me well and they did not give me false hopes. They just did what they have to do and for that, my husband and I are extremely thankful. 1stresponsepublicadjusters is a real game-changer in the playing field of insurance companies. 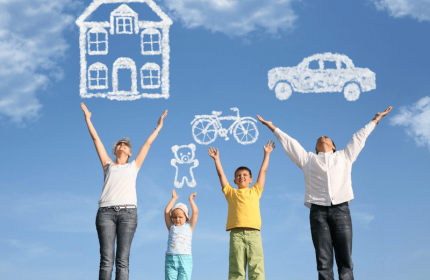 When you feel that there is no hope for your claims, this company can actually lift that heavy burden from your shoulders and help you see that there is a solution to every insurance coverage problem. On my part, 1stresponsepublicadjusters was the silver lining on those dark and heavy clouds that surrounded us after hurricane Irma.